The international presentation of the new Ducati Supersport and Supersport S, a sporty motorbike but also designed to be enjoyed daily. To obtain such a combination, Ducati retakes the concept of past models, where it was possible to fuse with mastery the practicality that must have a bike for multiple uses with the sports genetics of the Italian brand. In this way an authentic sports car has been obtained, with a very elegant and fluid design that inevitably reminds us of the superbike Panigale. 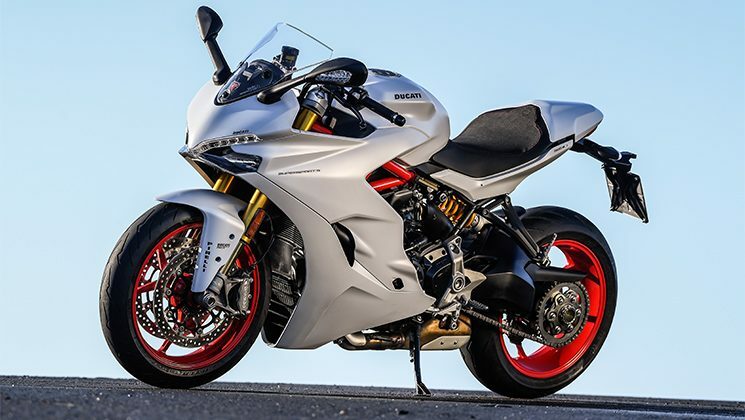 In the analysis we tell you all its characteristics and behavior of the new Ducati Supersport and Supersport S.
From the front to the rear, the new Supersport is presented with very refined lines, giving a feeling of continuity and lightness that makes you fall in love visually. Its adjustable dome next to its new daytime light LED DRL initiates a timeless design, giving way to a muscular gas tank and fairings which forms facilitate the air flows and cover the legs aerodynamically, finishing with a stylized end that finishes an unmistakable silhouette. Thanks to this design exercise, Ducati has achieved a sports bike yet ergonomically comfortable. The height of the seat is 810 mm, allowing access to most sizes. The semi-rims are raised to a height that avoids fatigue in wrists and arms and facilitates maneuverability, while the stirrups are near the ground increasing the comfort of the legs while riding. If we add a very correct aerodynamic protection due to its dome adjustable in two heights, a design of fairings and tank that perfectly fit the rider, and a good turning radius, results in a perfect sports bike to use daily, on our weekend routes or give us a tribute in race track. In addition, both pilot and passenger will enjoy a comfortable shape and comfortable seat, having the passenger a zone of grip under the seat or optionally giving the possibility of attaching larger handles and comfort. Mechanically, the new Ducati Supersport comes with the well-known Testastretta engine at 11º and 937 cc, adapted to the Euro4 and with redesigned elements like cylinder heads and crankcases or new control and injection systems. In this way we can achieve a maximum power of 113 hp at 9,000 rpm and a maximum torque of 96.7 Nm at 6,500 rpm, having at our disposal from 3,000 rpm 80% of its maximum torque. To its more than logical and exploitable mechanical strength, Ducati adds to this winning equation a precise electronic accelerator associated with its three driving modes, a new Quick Shifter up / down as standard in the ‘S’ version and optional in the ‘standard’ version ‘That allows to raise and lower gears without using the clutch, as well as a clutch driven by cable with anti chattering function. 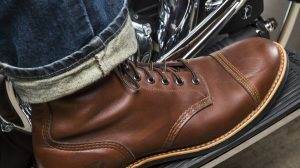 Finally, the set is topped by a new exhaust system with double output for a round and familiar sound. 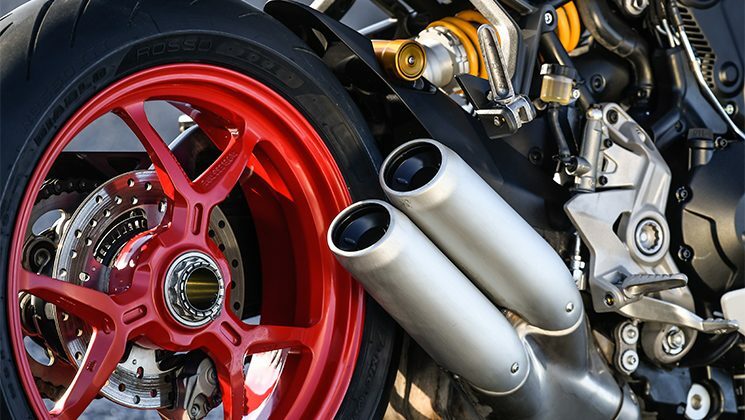 For the frame of the new Ducati Supersport is used a tubular evolution that uses the engine as a support element, allowing a very compact, light and rigid set against high twisting. Next to this new block, Ducati has been working to offer the rider geometries that allow easy and predictable riding, and with agility and stability in curve that allow to enjoy and have fun on the bike regardless of our type of riding. In the suspension system, Ducati bets on combining a 43 mm Marzocchi adjustable fork and a Sachs adjustable damper for the Ducati Supersport, while in the ‘S’ version, the Öhlins on both axles, with a fork 48 mm front and single shock absorber with gas cartridge integrated in the rear, both fully adjustable. For the brakes, both Brembo M4-32 radial calipers are powered by Brembo PR18 / 19 radial bursts, biting 320 mm discs, while a Brembo double piston caliper is fitted to the front 245 mm disc, both managed by ABS Bosch 9MP system adapted to each of the three engine maps available. Another point that stands out visually are its new three-spoke ‘Y’ wheels, having more impact on the ‘S’ version thanks to its striking red color. In both cases they have a 17 “and hold the new Pirelli Diablo Rosso III, which have demonstrated great grip and handling on the road, and an acceptable performance on the track. On an electronic level, the new Ducati Supersport has a very complete package. Standard with the Ducati Safety Pack, which combines the Bosch ABS system and the traction control. The first one, as we have already mentioned, acts according to the motor map chosen, while the second one has 8 levels of intervention, also calibrated according to the motor map chosen but with the option to configure them to our liking or to disconnect it completely. In terms of Riding Modes, the new Ducati Supersport has the Sport mode, in which we have all the power in a direct way and with the aid adjusted to the minimum, Touring mode, where we also have all The power but in a more rational way as the intervention of the electronic aids, and an Urban mode, where the power is reduced to 75 HP and its delivery becomes much more progressive, with an adjustment in the more intrusive aids. 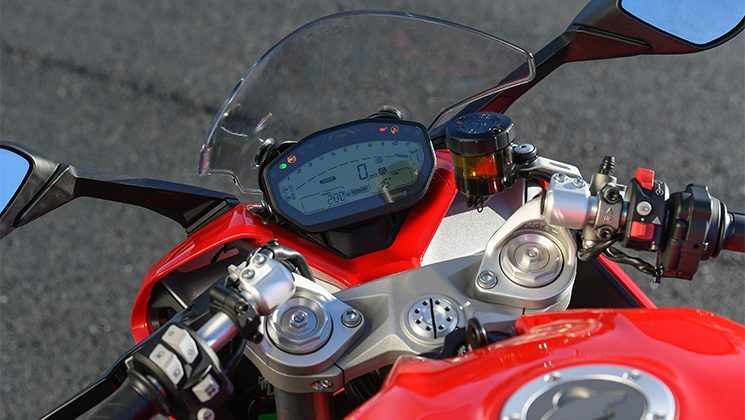 Finally, the new Ducati Supersport, has a LCD screen place at the top. In it we have all the desirable information, from consumption partial and geared gear, to the driving mode or levels of ABS and DTC. 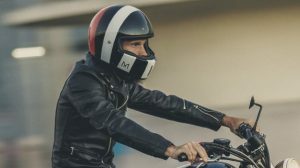 Also optionally, we can count on the Ducati Multimedia System, which connects to your mobile device via Bluetooth, showing the controls of the music player, the connection of headphones, incoming calls and received messages icons. 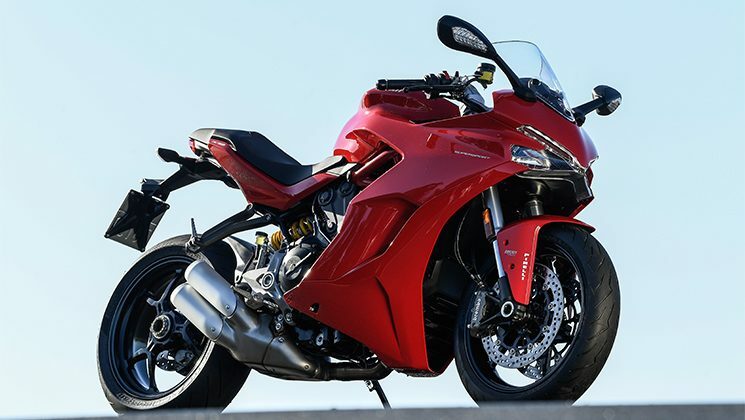 Already underway and riding the Ducati Supersport on the road with curves of all kinds, we confirm that to recapture the concept of a road motorcycle has been all a success on Ducati´s part. It is an agile bike, comfortable, easy to ride, with a balance in its performance that allows a sporty riding without exhausting our-selfs too much and without requiring an expert level of riding, making you enjoy the most of both the bike and the road. In addition, this great set contributes a good distribution of weights, making it a predictable bike and noble behavior. With a weight of 184 kilos allows a very good maneuverability, included in standstill, and with its deposit of 16 liters and an average consumption that oscillates between 6 and 6.5 liters per 100 kilometers depending on our riding, we can handle autonomies Around 250 km. Already in the track, it is possible to express more in depth its sports capacities, which they improve notably in the level of suspensions. In this case, the Ducati Supersport clearly transmits that it is a sports bike by geometries, by its position at the controls or the response of its engine, but without becoming as critical as a modern superbike with more than 200 hp. It is a motorcycle that does not require a high level of piloting, making its 113 hp more than enough to take your abilities to the limit within a very safe margin. In track changes of direction are done with a good degree of agility and precision, having a good poise and stability while passing in the curve. 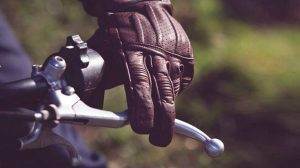 In the brakes you have another extra point to take your riding to the limit thanks to its power, good feel and total absence of fatigue symptoms, a delivery of power very well dosed from the gas and well controlled by the control of traction. In short we are facing a new model very interesting for users who do not want to give up sport bikes at the same time also to the comfort of a bike viable for the day to day. Therefore, the new Ducati Supersport we can highlight its great versatility of use, its exquisite design and comfort, as well as its ease of riding and technological package, being able to improve the mechanical clutch lever and the visibility of the rear view mirrors.